An improvisational approach to making music is almost the opposite of classic composing. It is an unique experience. 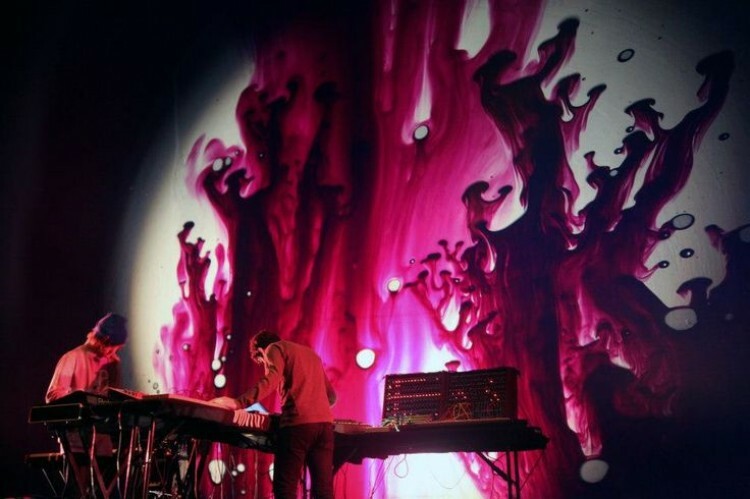 The same principle is applied to light shows that accompany musical concerts since the 50s. 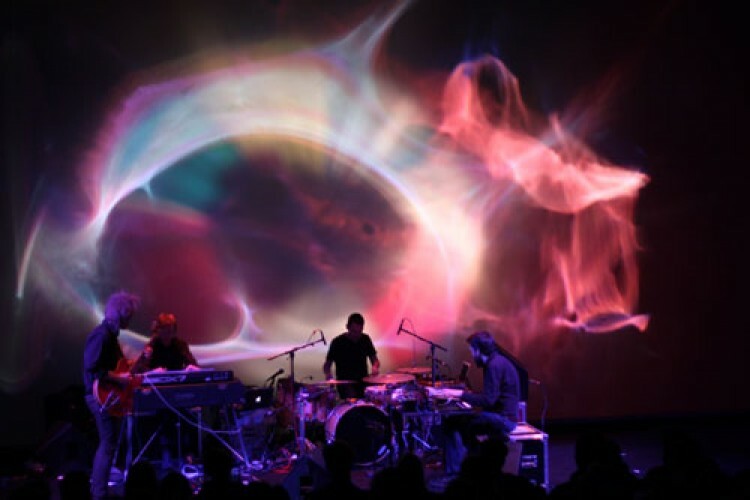 Hereby many hands operate all sorts of light instruments like diascopes and film projections, colour wheels, reflecting objects and 'liquid projections'. 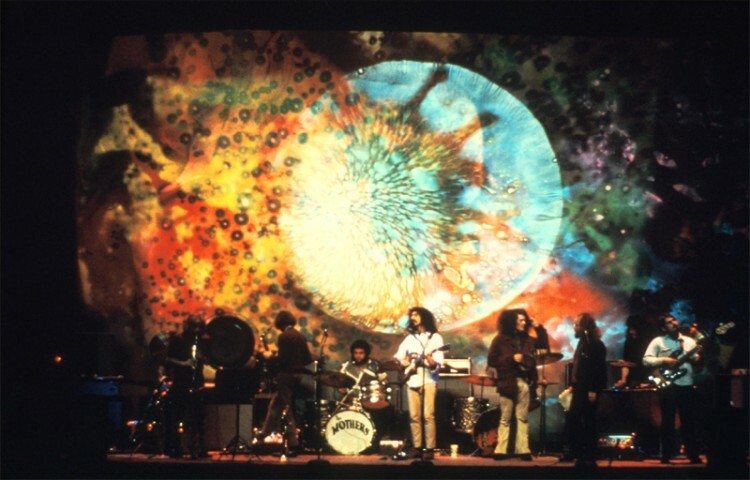 One group well-know for doing so during gigs of The Doors, Jimi Hendrix, Frank Zappa as well as in the Carnegie Hall or in the Lincoln Center is the Joshua Light Show. 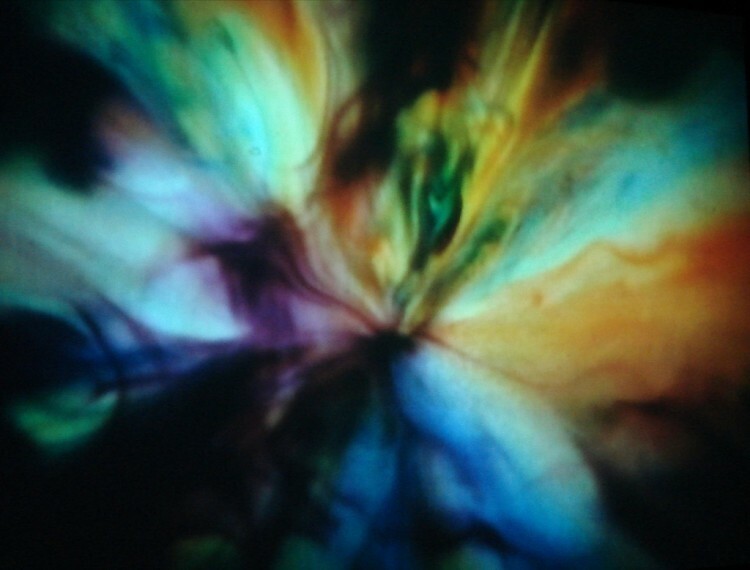 They started to soak diverse psychedelic multimedia spectacles in the 60s/70s with light projections by using glas bins filled with fluid oils in different colours, that would not blend.